Over the weekend I had a discussion with someone concerning the Times article about African American attendance at National Parks. This, in turn, led to the topic of Ranger Shelton Johnson and the work he has done at Yosemite. So, here again is the interview I did with Ranger Johnson this past March. 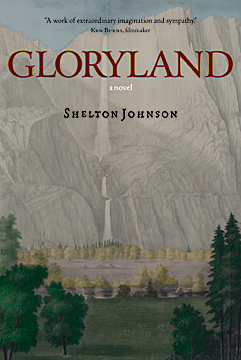 Shelton Johnson’s Gloryland is one of the most meaningful books I have read in recent years. The novel tells the story of Elijah Yancy, a Buffalo Soldier serving in the U.S. Army at the turn of the twentieth century. The book is many things: a meditation on the importance of family and place, a reminder of the role that nature plays, or should play, in all of our lives, a treatise on the ironies and injustices of race in America, a thoughtful work of literature. If you have not read Gloryland, I recommend adding it to your reading list. Regular readers of this site may remember Ranger Johnson from the poignant short film The Way Home. He was also prominent in Ken Burns’s The National Parks: America’s Best Idea. 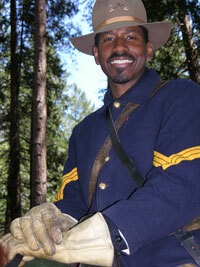 Ranger Johnson has had a long and successful career with the NPS and currently serves at Yosemite National Park. Recently, he took time from his busy schedule to answer some question about his debut novel, his thoughts on Interpretation, and more. The Strawfoot: The protagonist of your novel, Gloryland, is Sergeant Elijah Yancy. Tell us something about him. Where was he born and what was his family history? Ranger Johnson: Elijah is the son of sharecroppers. His mother and father were enslaved before emancipation. He was born in Spartanburg, SC and raised there until he left forever as a young man. His grandmother was Seminole. Relations between African and Native Americans may surprise some readers. Is this something readers comment on? The fact that he had 2 grandmothers who were Seminole and Cherokee would not surprise African American readers. There was a census done around 1900 that determined that roughly 1 out of every 3 African Americans had an Indian branch to their family tree. Certain Indian cultures took in runaway slaves such as the Seminole, but also the Cherokee and the Choctaw. Consequently, many African Americans are also part Indian as a result of this history. It’s just that you never hear about it in popular culture such as novels and movies, but Black people have known about this heritage for years. My maternal grandparents are Black Cherokees from Oklahoma. Elijah was born on Emancipation Day, January 1, 1863, and had an older brother killed at Fort Wagner during the Civil War. What were the experiences of African American soldiers in the nineteenth and early twentieth centuries? Fighting Indians, Cubans, Filipinos, and other people of color must have have, to say the least, brought about mixed feelings in these men. Is this something they discussed privately amongst themselves, or shared in letters to friends and loved ones back home? You have spoken to many descendants of Buffalo Soldiers over the years. Yancy himself is telling his story thirty years after his military service ended. Were the stories these men had to tell passed on from one generation to the next, or is it something that has only come to light in recent decades? What was it like working as a Buffalo Soldier in Yosemite National Park in 1903? Why were they there and what duties did they perform? You grew up in Detroit, but also spent time in Europe and elsewhere because your father was in the Army. What was it like living in these places? 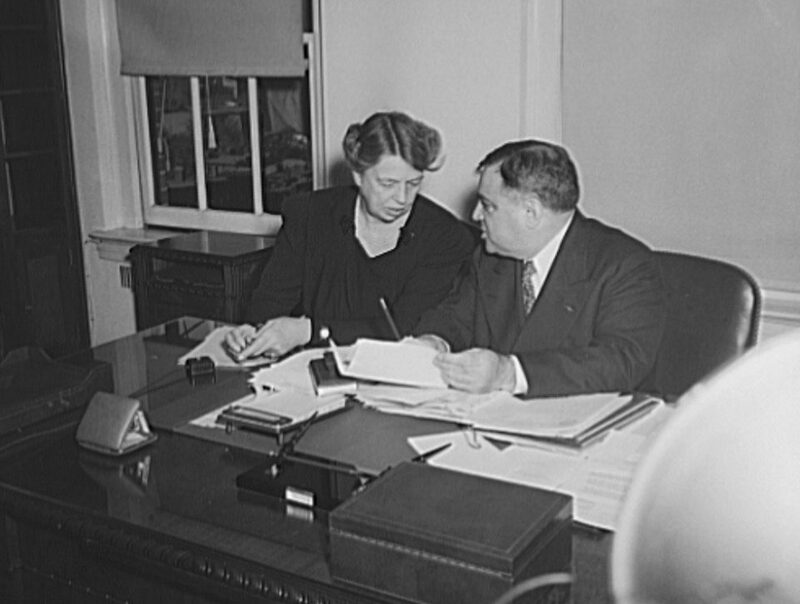 How did you eventually come to work for the National Park Service and what inspired you to do so? Traditionally, African American attendance at National Parks, especially the nature parks, has been significantly lower than that of whites. One of your goals is to increase awareness of the National Parks within the African American community. What are some of the misconceptions Africans Americans, Latinos, and other minority groups have about Yellowstone, Yosemite, the Grand Canyon, and elsewhere? I think it’s basically an unknown and with any unknown there’s a certain amount of fear. Some African American are nervous about visiting ANY area where there are very few other African Americans. You have to remember that there’s a history of violence against African Americans, and those cultural memories are alive and well. There’s still fear of groups like the KKK and other supremacist organizations, and that results in fear and anxiety. People don’t go on vacation to be fearful or anxious! Consequently, some African Americans who briefly considered a trip to a national park, decide to go somewhere else because of this fear of the unknown. But history can work in your favor too. The knowledge that the Buffalo Soldiers once protected Yosemite and Sequoia can result in a feeling of ownership and pride rather than fear and that can lead to a trip back to the mountains. Who, or what, would you say are your greatest intellectual influences? Too many to list. I was a literature major! John Keats, Langston Hughes, Shelley, Richard Wright, Shakespeare, Chaucer, St. John Perse, Cavafy, Anna Akmatova, Pablo Neruda, Gabriel Garcia Marquez, Aime Cesaire, and the list goes on! You have a Literature background. What role, if any, has this played in your approach to Interpretation? It has shaped everything in terms of structure and content with regard to my Interpretive programs, as well as my classical music background!